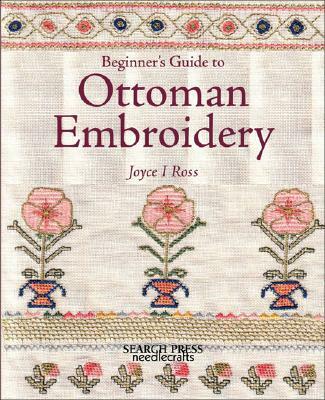 Inspired by the author's visits to Turkey and all that she experienced there, this guide to historic embroideries explores in-depth a wonderful range of stitches, images, and designs. Particular focus is given to the techniques of Ottoman embroidery, as well as the fabrics, threads, and colors that were used. A dictionary of stitches describes a whole range of stitches from Bukhara self couching to needleweaving and Turkish punch stitch. Projects offer inspiring ideas for samplers, cards, coasters, bookmarks, and more. A wonderful section on borders and motifs includes attractive border patterns used in 18th and 19th century Ottoman embroideries and motifs adapted from the pieces the author has studied. It will encourage embroiderers and textile artists everywhere to look at the historical treasures we have around us, and inspire them to create their own original works of art.